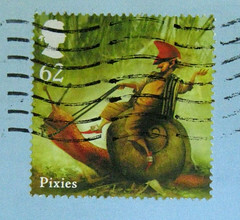 Yesterday I received another great Postcrossing postcard, and laughed out loud at what Mike wrote. Turns out he was already a regular reader of my blog when he was assigned to send me a Postcrossing postcard, and he tells me I don't write blog posts often enough. I think he's right. I'm trying! I have a goal of at least 5 posts per month. I failed in January, but I'll manage (and maybe exceed?) that for February. 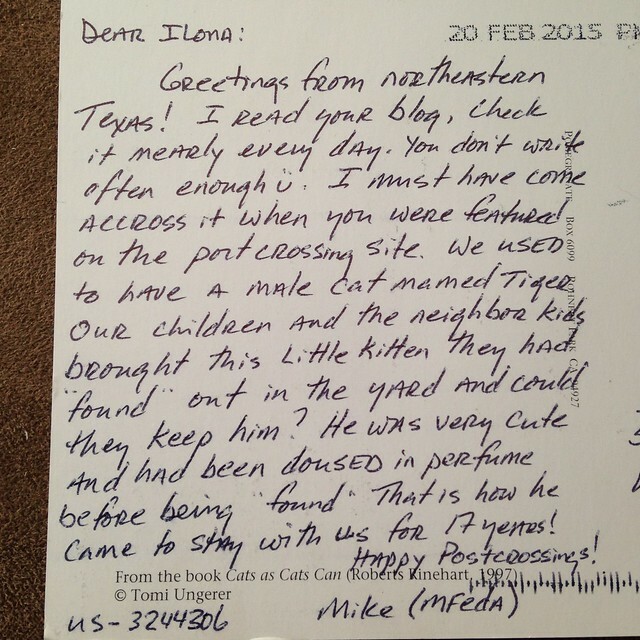 On my Postcrossing profile, I invite senders to share a beloved pet story. I really enjoyed Mike's story about how their cat Tiger came into their lives.